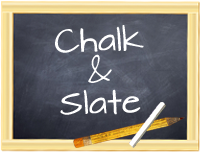 Chalk and Slate: IB Thursday - What Inquiry cycle do you use? I've been slacking a little with my IB Thursday posts but am happy to find myself back on track tonight. I've had some opportunities in the past few weeks to really think about the process of inquiry in the classroom. I know that for those of you who teach in a standards based curriculum the thought of inquiry might seem a bit ridiculous, especially if you have to stick to a scripted program. I say that because that's how I felt teaching from subscribed programs like Treasures and Everyday Math. What I didn't know then is that inquiry is the foundation upon which learning is based. If we don't access our student's interests, if we don't prompt their curiosity then the learning which does happen is superficial. This is exactly what John Dewey's child-centered learning was about. His model started with concrete experience. This is the interaction between the student and his or her environment, subject or teacher. The cycle moves on to reflective observation. This is where the action is considered through observation or discussion. The next step according to Dewey is the abstract conceptualization. Basically this is when the student derives some meaning or knowing from the experience. The last step in this cycle is the active experimentation. This is where the student takes his or her new knowledge and applies it to new experiences. Dewey believed that reflection is an integral part of the learning that takes place from experience. He believed that reflective thought started when students had an experience that created some form of conflict or dilemma within them. Dewey felt that this conflict stirred the learner into asking further questions and asking what is really going on. From there the learner experiments with possible solutions either literally or in thought, and lastly he or she will determine if the solution was effective. This entire process, according to Dewey is how all concrete learning happens. 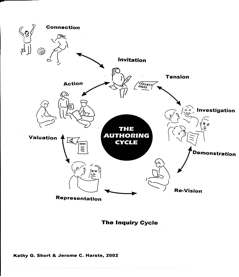 There have been many inquiry cycles developed since Dewey's time. Here are some of my favorites and lastly I'll show you the one I use in my class. This model based on Dewey is commonly used in classrooms today. 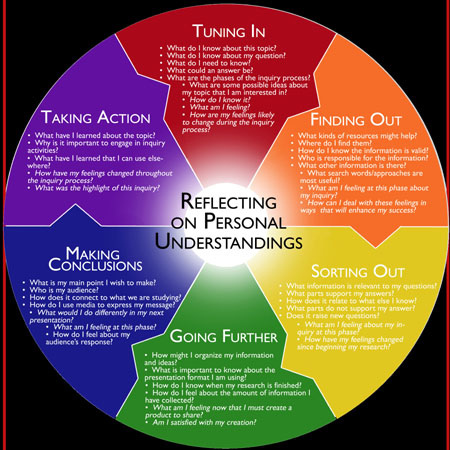 This model by Kathy Short really helped me to better understand the inquiry cycle. She starts with Invitation. It is this invitation that starts the learner on the journey to something new. It is on this path that the tension or the conflict is discovered. From there the students goes on to investigate, demonstrate, re-vise, represent and take action. This is the model that I use in my class. While it is a wheel and connects from one phase to the next I like to think of it as fluid. No matter what part of the cycle you are in you can always go back, start over or skip ahead. I can tell you from personal experience that the process of inquiry works. It works because it is based on connecting a child's experiences to his or her knowledge. When working at my school last year we often said that we were working with our hands tied behind our backs. We thought this because our student population came with so little experience to build on that they were ill prepared to understand texts and topics in our state mandated texts. What I realize now, that I didn't then is that Tuning In and creating Tension happen because we present our students with that opportunity. The first week or even two should be spent immersing the students in experiences. Hands on learning and exploration are key. The difference between last year and this year is not that my students come with more experience, all be it they do, but that we (my students and I) take the time to discover and investigate new concepts before we ever learn about the facts. This is what makes the learning personal. This is what makes it stick!! So...which model of inquiry do you use when designing your lessons? I'd love to know and have you share with me. Please leave me a comment and tell me what you think about inquiry and Dewey. I learned about the inquiry model while I was doing teacher training in Western Australia but didn't know it was used in IB PYP. Many thanks for the info. We used Kath Murdoch's Classroom Connections book, which has fantastic activity ideas for each phase of the cycle. I found your blog through Global Teachers Connect (I am a new contributor) and am now a follower. Hey Trish thanks for leaving a blog post. I appreciate the feedback so much. I had no idea about the book Classrom Connections and will try to order it asap. I'd love to read it. I am trying something new with our next unit. It starts tomorrow and I'm going to share the inquiry cycle with my kids and see if they can place the activities and lessons into the right phase. Will be very interesting. 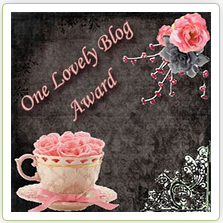 I am hopping over to your blog right now to become a follower!